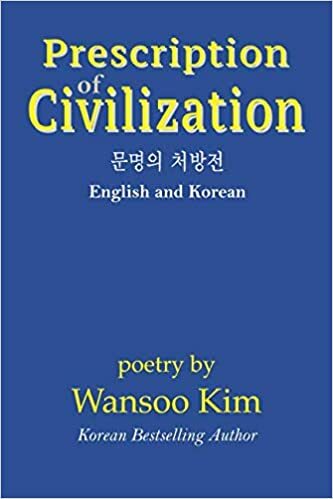 Description: In Prescription of Civilization, bestselling Korean poet Wansoo Kim explores the meaning of the Christian faith in the modern world. His work displays courage and faith. In the introduction, he tells the story of his painful illness and several suicide attempts to end his suffering. He finds hope in a local community church with the message of Jesus Christ. Kim then sees Christianity as the true hope for a lost humanity, a humanity drowning in its own confusion and fear. The book covers themes ranging from science, the role of art and culture in a happy life, and the political life of South and North Korea. This collection is an important document to testify to the healing powers of Jesus Christ and the hope of redemption through prayer and commitment to faith. Author bio: Wansoo Kim achieved a Ph. D. (English Literature) from the graduate school of Hanguk University of Foreign Studies. He was a lecturer at Hanguk University of Foreign Studies and an adjunct professor at Incheon Junior College for about 20 years. He has published five poetry books, one novel, and one essay book: one poetry book, Duel among a middle-aged fox, a wild dog and a deer was a bestseller in 2012, one page in the book of Letters for Teenagers was put in the textbooks of middle school (in 2011) and high school (in 2014) in South Korea, and three books (Easy-to-read English Bible stories, Old Testament in 2017, New Testament in 2018 and Teenagers, I Support your Dream) were bestsellers. He was granted a Rookie award (poetry) at the magazine Monthly Literature Space in South Korea and World Peace Literature Prize at the 5th World Congress of poets for Poetry Research and Recitation in New York in 2004.